It's hard to beat the price on this 5 1/8" CVG Fine Grain fir flooring. We have a limited quantity available at this price, so call soon to reserve your flooring. 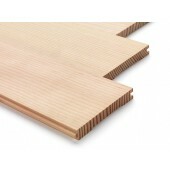 This is the highest quality fine grain CVG Douglas Fir Flooring available. Milled from 85/15 clear stock Doug Fir. This flooring offers a tighter grain than our "normal" 6" fir flooring and the tightest grain available over all. 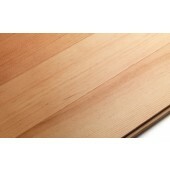 7 1/8" Wide Plank CVG Douglas Fir flooring T&G is a beautiful tight grain Doug fir. How WIDE can you go? This wide-plank 10" clear, vertical, grain flooring is designed to be spectacular. We recommend this floor for large spaces with high ceilings. Our long lengths provide dramatic runs of tight grain that celebrate the vertical, consistent grain patterns. A beautiful 7 1/8" face width wide plank CVG Douglas Fir Flooring.